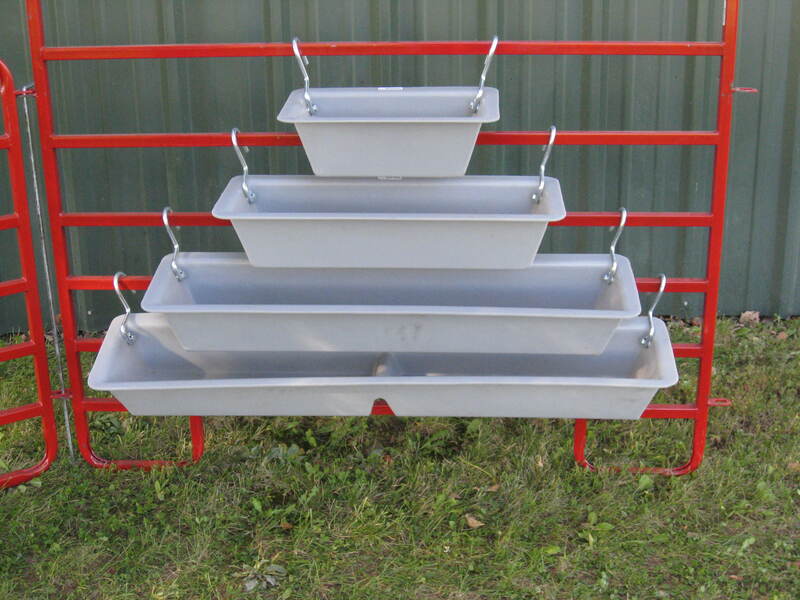 Our heavy plastic Show Troughs make feeding sheep individually or at shows easy. They also make great awards for shows & events. Add decals to personalize them. The 4 ft. Trough has a divider in the middle. 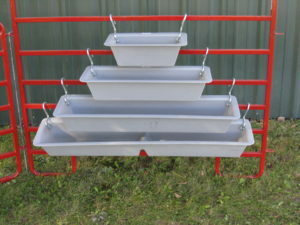 The best feature of the trough is our special designed zinc plated hooks that can be folded down inside of the feeder for easy stacking. Our Show Trough Hooks can be purchased in sets.